This post is in continuation with a previous one; and a part of my Kashmir Travelogue. 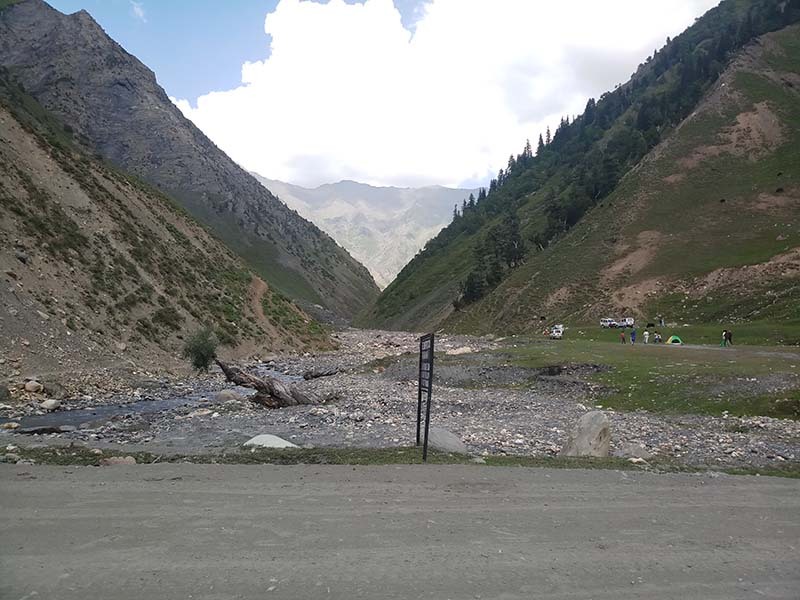 Details below are of our 7th day of the trip; when we spent some time sightseeing in Gurez and exploring the valley till as far as the road went to the border. On Day 8, our initial plan was to go to Sonamarg but then we just decided to come back to Srinagar only. Details of this journey are described in the post below. In order to read previous parts of this travelogue, please click on the link below. As per our original plan, we were supposed to be visiting Sonamarg today. 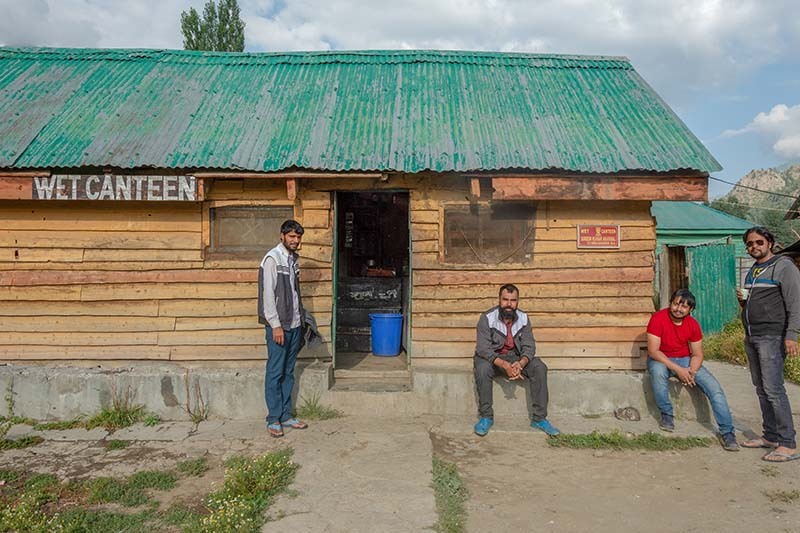 We only kept one night in Gurez Valley in the initial itinerary because I wasn’t really sure if there was anything to see here in particular. The information on the web about Gurez was anyways very limited so our trip here was more on “let’s get there and see how it goes” basis. 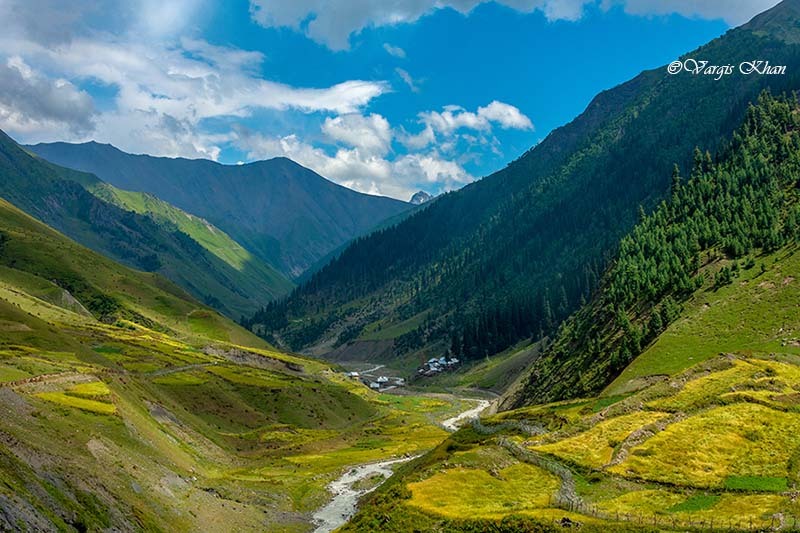 The idea at first was to arrive in Gurez valley, spend one night and then go to Sonamarg then next day. But our entire trip did not really go as planned and even on the last days, further changes were made. The last change in the plan came in from of Sonamarg being taken out entirely and our stay in Gurez getting extended by one day. Also Read: What to See in Gurez Valley? There were two major reasons behind this change. The first one was the lack of knowledge about the region. 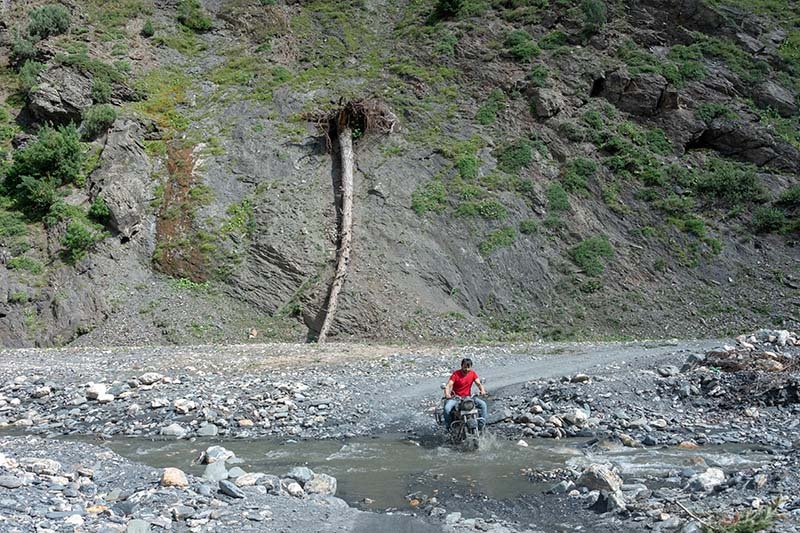 I wasn’t really sure about where to go in Gurez valley, what to see and how much time will be needed. So when I planned my itinerary before coming here, I just kept one day in Gurez. I thought that we will just drive here and will be able to cover it all in a day. That however wasn’t quite right. 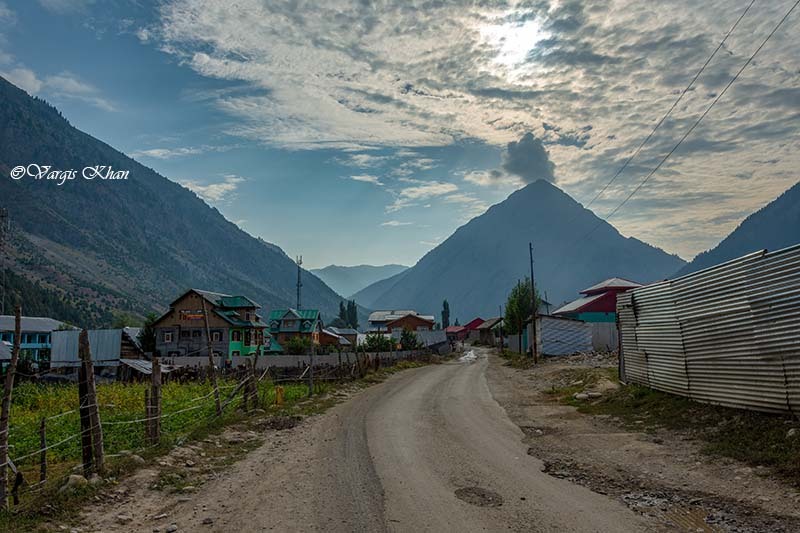 On Day 1, we only reached the town of Dawar but that is where Gurez valley actually starts. 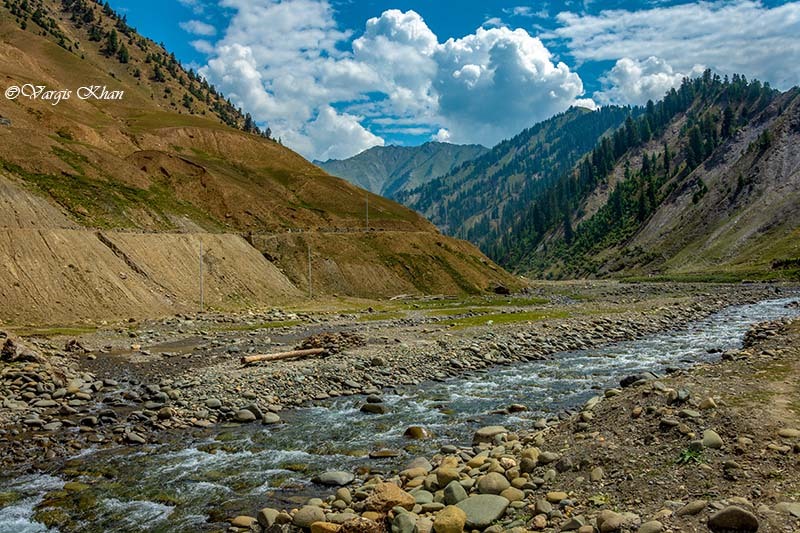 There were a couple of other guys staying in the same hotel who went exploring the valley further and they told us that the actual beauty of Gurez is beyond Dawar. 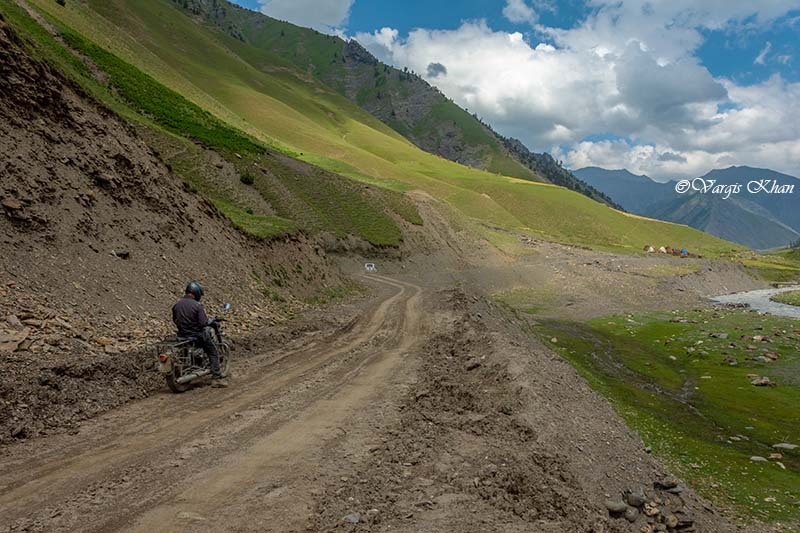 We were quite intrigued by the way they spoke so highly of the places they went to; so we too decided to explore Gurez valley beyond Dawar. Second reason behind extending our stay was to see it all while we were still in Gurez. Who knows how long before we get another chance to come here again. Somewhere in my heart I knew that I probably will never visit Gurez again. It was more like a onetime deal so why not add another day and see all that there is to see? 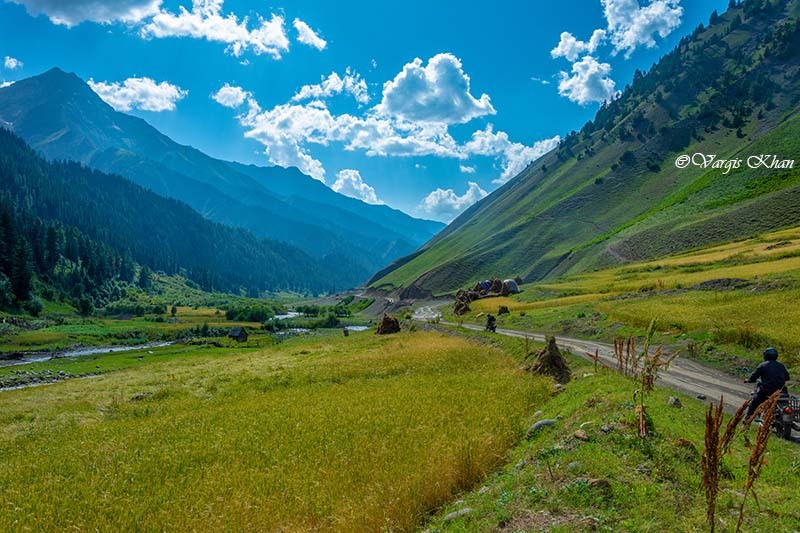 A third reason to some extent was the fact all of us had been to Sonamarg before while traveling to Ladakh; and we knew that we will definitely be there again the next time we go to Ladakh. So the eagerness was a bit more towards seeing an unknown place rather than visiting again a seen one. And hence, a final change was made to the itinerary again. Sonamarg was taken out of the plan; and a day more was added for our stay in Gurez. We got talking to the owner of the hotel and the other guests; and learnt that the road stretches for another 65 kilometers after Dawar. 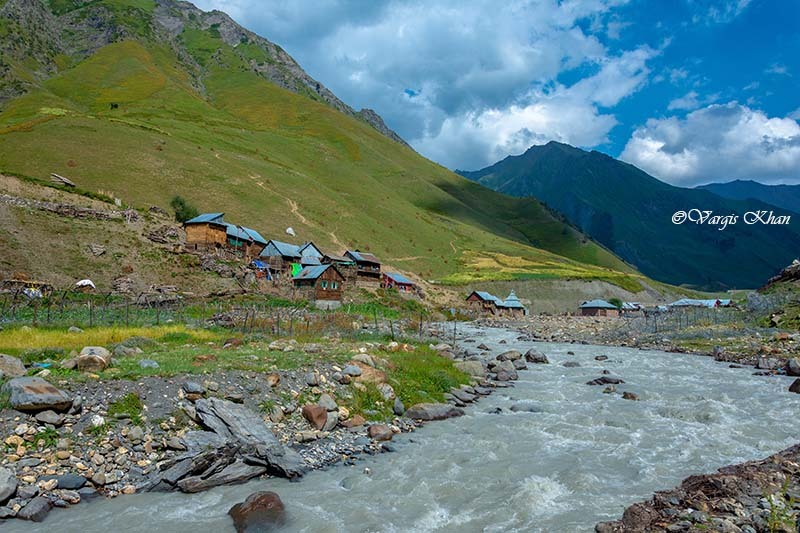 The last village on Indian side of the border is Chakwali till where a civilian can travel. That is in fact where even the road ends. 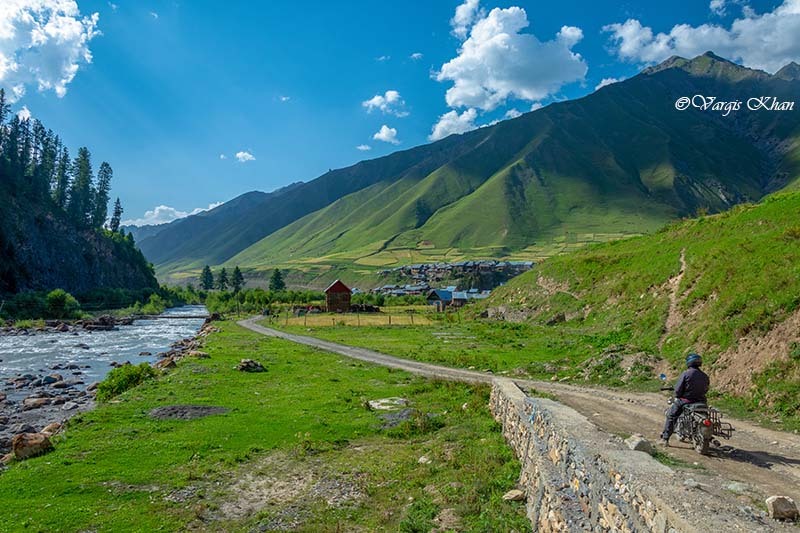 After Chakwali, it is just Pakistan on the left; and a trek route to Drass on the right. 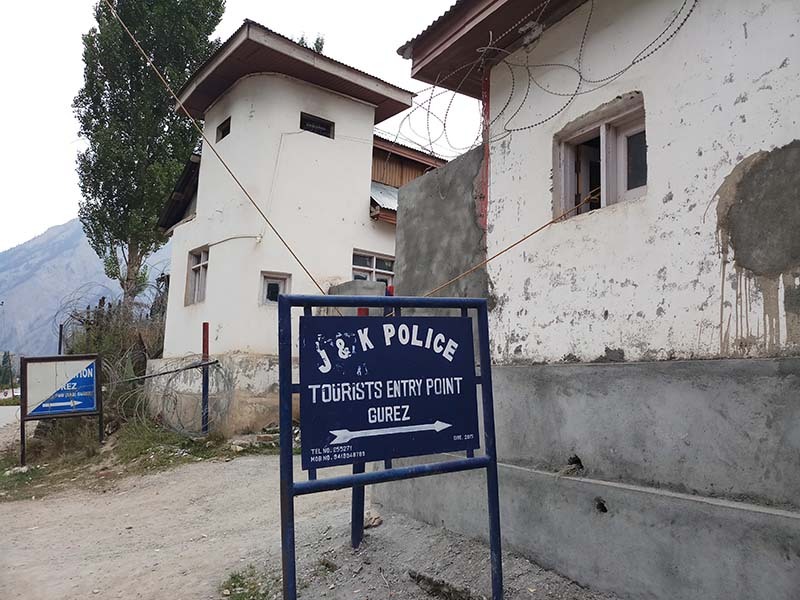 However, in order to get there, a permit must be obtained from J&K police station in Dawar. The road as we were told gets even worse after Dawar and it will literally put our stomach to test. This was in fact true. 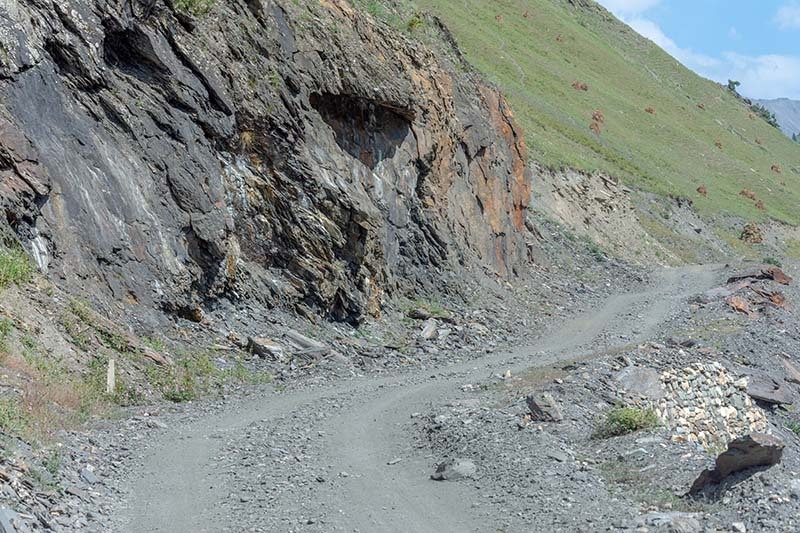 Below is what we encountered later in the day. It is not looking so bad in the picture actually. But multiply the condition you see in the image below by 20 times on the worse side and you will get an actual idea of the road. 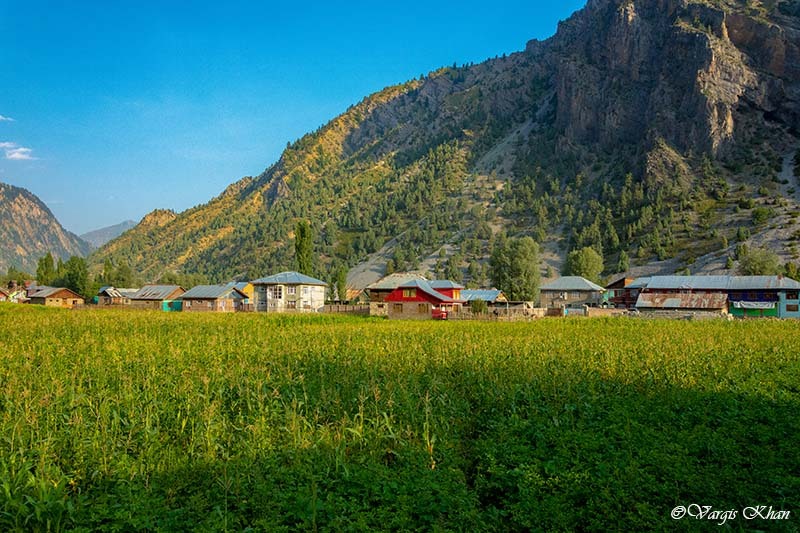 Gurez valley is divided in two districts or Tehsil as you may as well call it. The area till Barnoi all falls under Dawar district. After Barnoi and till Chakwali, it is all under Tulel district, also known as Tilel. The basic amenities like banks, ATM, schools, hotels, petrol pump etc are all in Dawar only. Tulel is just a few very small villages at regular intervals and nothing more. Even these villages are like a group of 15-20 houses. 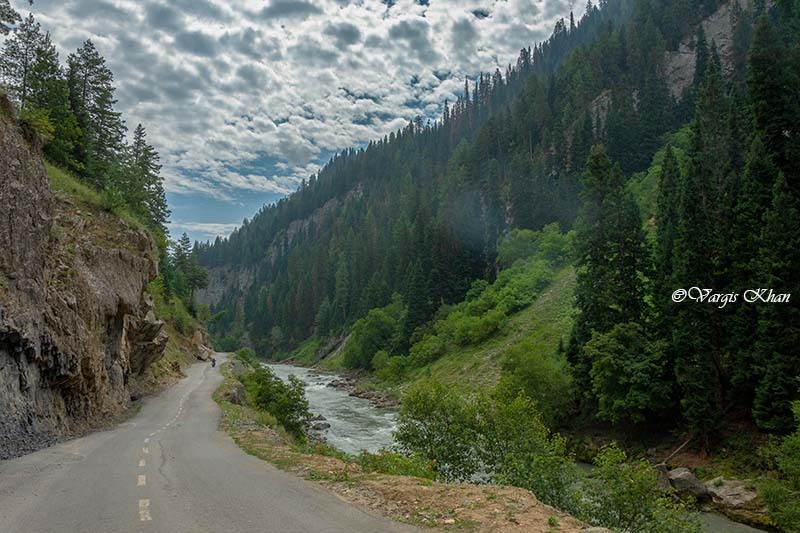 Also Read: How to Plan a Trip to Gurez Valley? Like all the other days of the trip, Lavish and I were the first ones to be up. We went exploring the small town of Dawar and also in search for a cup of tea. There were no shops open early in the morning but we did find an Army wet canteen open. After a couple of cups of tea each, we came back to the hotel. Shoaib too was up by then and we started to get ready for our trip ahead. I sat down for a while with the owner of the hotel to understand the route ahead; and got the names of some of the villages that we can or should visit. So the first task was to obtain the permit. I learnt from the other guests at the hotel that it is not really that difficult to obtain. But before that, we again went to the Army wet canteen for some more tea. We arrived at the J&K police station. They first denied the permit straight away but after a bit of requesting, we got the permits. One thing to remember here is that your Aadhar card is absolutely necessary for this. Without Aadhar, they will deny you the permit entirely. No other ID card like PAN, DL, Voter’s ID etc will work. You need to bring your Aadhar along. Below is a picture of the handwritten permit. Also Read: When is the Best time to Visit Gurez? Another thing to remember is to bring a couple of photocopies of your Aadhar card because those would have to be submitted. You will first be denied a permit straight away and they will tell you that it is not allowed. But just request a little and the cops will allow. 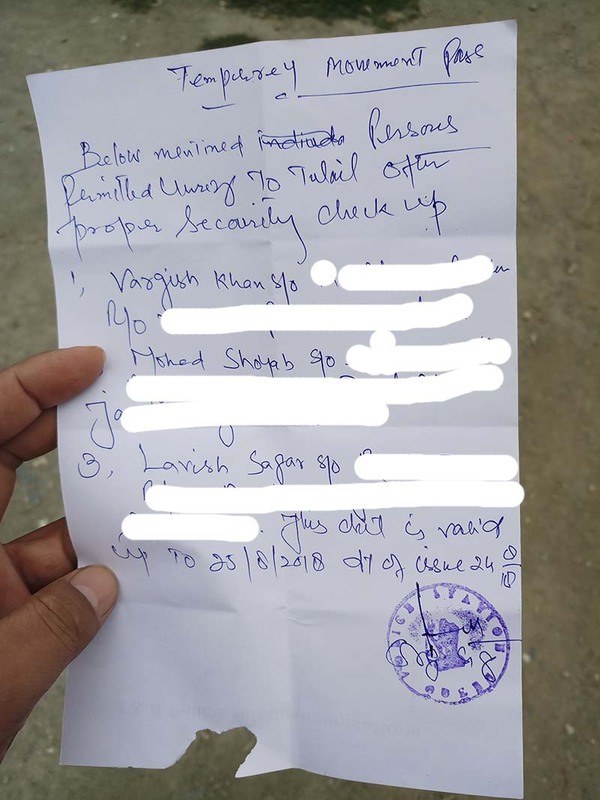 They will tell you that a permit from Indian Army is too needed and if you have spoken there but it is just the cops who need to give you the handwritten letter. Keep requesting for a while and they will issue. There wasn’t really much to this day to write about. We traveled from Dawar till Chakwali and came back. From Dawar we started at around 10 AM and did not make it back well until 5 PM that day. The journey was only 130 odd kilometers in total but the road conditions were extremely bad. I will post a few pictures of the journey. Finally we made it to Chakwali, the last point on Indian side of the border. In the image below, the mountain in between (horizontal line under the clouds) is Pakistan occupied Kashmir. Standing there, I can tell you that it was an amazing feeling. And then, it was time to start our journey back home. We made it back to Dawar by evening and straight away went to the Army wet canteen to get some tea. We spent some time at the canteen talking to a soldier who told us about the recent encounter that his unit was on; how the entire operation went through and how they killed the militants. Finally we came back to the hotel. There was nothing else to do for the evening after it got dark so we switched on the TV. Much to our annoyance, TV was still not working which had been the case since yesterday. Yet again we asked the owner and he again gave us the same excuse that he isn’t sure why it was not working and he will get it recharged immediately. It was quite clear by now that he was not going to get the cable recharged and spend money on it. We had been asking him to get it done since our arrival yesterday and he had been singing the same song and delaying it. So rather than waiting for him, we ourselves called a friend of ours in Delhi and got a minimum Rs. 100 recharge done for Dish TV. The process of getting irritated however was still far from over. When we asked him about dinner, we were told that it was going to take some time and he won’t be able to serve food anytime before 11 PM. After an entire day of riding our bikes on really bad roads, all that we wanted to do at that time was to eat some food and go to sleep. But that wasn’t really a choice. We had to wait for him to serve dinner until around 11 PM and then we finally went to bad at around 12 Midnight. Kaka Guest House is the only decent hotel in Gurez. It is an OK place to stay but the service is really bad. It is run by a family that lives right next door and the owner is a gentleman called Younis Khan. The guy is OK and tries his best to promote tourism in Gurez Valley; but I seriously hope that he improves his service at the hotel. I have provided a detailed review of this hotel at Hotel Kaka Palace Guest House, Gurez Valley. I really had great fun on this particular day. Roads were extremely bad. So bad that it actually broke the rear shockers of one of the motorcycles. We were tired and our butts were hurting bad. But taking a ride along the LOC and standing right next to the border was a feeling that made it all worth it. 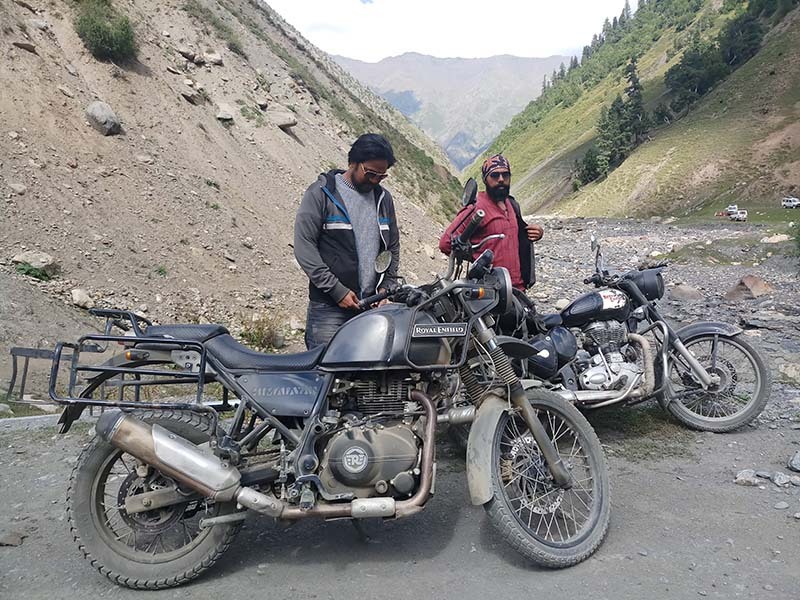 I have continued this article in the next post detailing our return journey from Gurez to Srinagar. 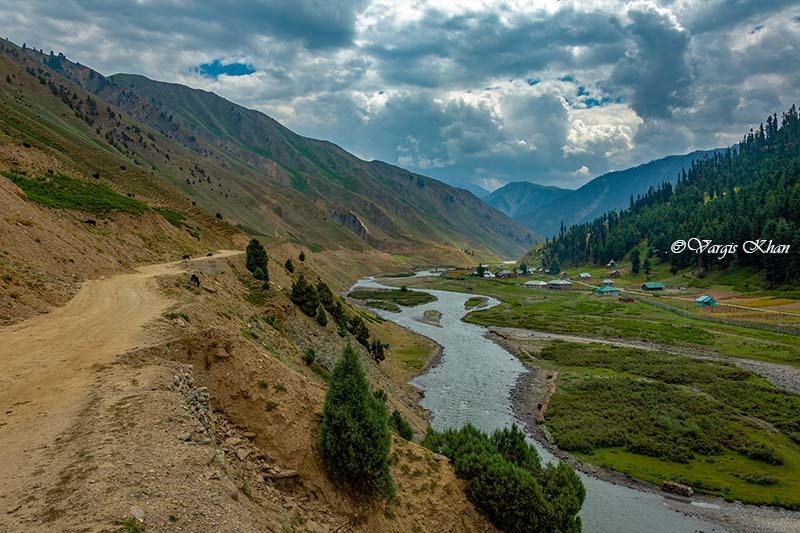 If you have any questions or need any further details about visiting Gurez Valley, please feel free to ask in the comments section below; or at our Community Forum; and I will be glad to answer.